about technical data are there something ? ??? i have found on Profils Avions 009 for project 150 was estimated a speed of 525 km/h ( with engine hercules) , for project 151 estimated a speed of 535 km/h ( with engine DB600) , 530-535 km/h for project 152 with merlin engine ! in Profils Avions 009 we speak about of Fokker D.22! There is also a mystery Fokker design,the D-24 fighter. Fokker D. XXIV - single-seater fighter a development version of the D. XXI aircraft with retractable landing gear. Project only. Not to be confused with the Fokker D-24 Alliance V.S.T.O.L fighter. D22 was a version of the D21 with a retractable undecarriage. It was not built. Who is right? Or what's the difference between D.XXII and D.XXIV? ??? Now you've got me thinking...I've had that note about the D.XXIV in my files for a long time, but now I can't find the original source or any proof that it is correct. The D.XXI was designed to the order of the Royal Dutch East Indies Army. of the time were designed as all-metal,low wing aircraft with retractable undercarriages. from welded steeltube ,wood and linen construction to the new all metal methods. The D.XXI was therefore constructed according to the old Fokker recipe. Welded steel tube covered with linen for the fuselage and tailplane and a wooden wing. The East Indies Army requested a fixed undercarriage. Yes, Fokker D-24 was also intented to be developed with Republic (year 1965) Fokker D.XXIV was a project of Fokker @ 100% ! So, any reason why Fokker was so left behind? The D.XXI was their best fielded fighter and it had fixed undercarriage. Was it because of lack of aluminium expertise, so they built wood- and fabric planes which didn't work well at high speeds? No advanced glues or Mosquito style mold built sandwich structures yet available at that point? The initial customer (Dutch East Indies airforce, KNIL) specified the fixed undercarriage for the D-21. Fokker wanted to use retractable main gear instead. Their best fielded fighter was the G-1, and it was pretty good. Just not available in sufficient numbers. Fokker depended on domestic military orders, and those were few and far between in the 1930s. This meant little money for development. They did lack aluminium expertise, were caught out in the civilian market by the DC-2 (Fokker introduced the wooden F-34 in the same timeframe). According to one book (the graphic novel 'Gefluister aan de horizon' [Whisperings at the horizon]), Anthony Fokker believed in the superiority of his wood/fabric/spaceframe construction until it was too late and KLM decided to buy the DC-2 instead of the F-34. "...and FR-107, powered by a Twin Wasp and with a retractable undercarriage, achieved extremely competitive figures..."
There has been two D-XXI's with retractable landing gear. Two variants are mentioned but 3 drawings. Is the second one equipped with Merlin and the last one equipped with Daimler Benz? Is 151 equipped with Merlin and 152 equipped with Daimler Benz? Where does this D-24 idea come from? Reference source please. As far as I am concerned this looks suspiciously like the D-21. Also the designation D-24 is usually connected to the post war VTO fighter developed in cooperation with Republic but not built. from the late 30 ties. Perhaps these two discussions should be merged. Is it possible to scan the relevant quotes from each of those references and post them here. I posed the matter of the D-XXIV to the Nederlandseluchtvaart.nl forum and received a satisfactory reply from 'michelboons1974' who referred to Gerdessen, Nederlandse Militaire Luchtvaart, a Dutch language article. Basically the D-XXII was considered end 1937 with either a radial engine or a line engine. These were designs 150 and 151. In September 1939 a two seater was considered as Design 197 with a 425 hp Wright Whirlwind. It was intended as a competitor to the Koolhoven FK-56. On 19 June 1939 Fokker introduced a D-XXI version with a retractable undecarriage and a Bristol Perseus engine. Three days later it was referred to as D-XXIV. to the designs (ontwerpen) 150 and 151 who were on the drawing board in September 1937. Lanasta -Violaero in the same series as the excellent Fokker G.1 book. 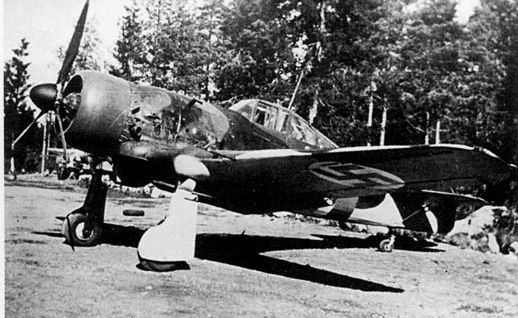 The first one of the Finnish modifications for retracts was a failure: the mechanism was slow and unreliable, and performance improvements were not realised. The second one (built from the beginning) was a success: the mechanism actually worked and the aircraft gained more speed, and both climbed and dived better. On that one, one pair of machineguns was moved from wings to fuselage, which pilots considered a great improvement - although they thought that replacing the 4 light machine guns with 2 x 12.7 mm ones in fuselage would have been ideal. Unfortunately, there was no time or resources for converting more Fokkers. gear project,which developed from D.XXI ?. Two Finish D-21 were fixed, experimentaly with retractable landing gear. I found a detail picture of this. Who can help me with more details of this system? Was this an excisting one coming from an other type of aeroplane, and if so from which one? Those bulges in the leading edges reminded me of the MS.406, which was used in Finland, too. show, that they contained parts of the retraction mechanism. Maybe its possible that they designed a new system or the modified the Caudron C-714 landinggear system. I read about a Fokker D.XXI modified by spanish republican forces with a Shvetstov M-25 engine: have you more info about that? According to the book "Aircraft of the Spanish Civil War - Gerald Howson", it was tested by Mario Palacios in the presence of the Gen Emilio Herrera. 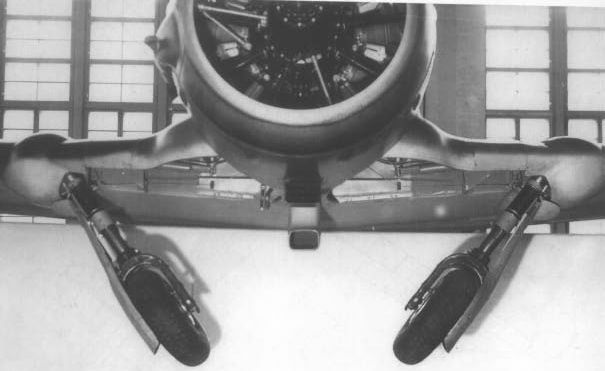 Those clever Finns managed to install retractable undercarriage while retaining 90 percent of the original wing including the original main spar. The swept, inboard leading edge and underwing bulges are the only aerodynamic modifications. The Shvetsov M-25 was a licence-built Wright R-1820 Cyclone. The Spanish Hispano-Suiza plant also had a licence to build R-1820s as the H-S 9V. I have had a look at the appropriate chapter in Fokker D.21 - Fokkers laatste eenmotorige jager by Peter de Jong, Violaero 2012. This is what I found. In 1937, Fokker and the Spanish Republic had arranged for licence-production in Spain of 25 C.10 scouts and 50 D.21 fighters. Fokker's head office in Amsterdam had made drawings for an R-1820-powered D.21 as part of this deal, presumably because of the availability of licence-built R-1820s. Peter de Jong writes that the single Spanish D.21 was probably assembled from locally made parts, so this was not a matter of an existing aircraft modified to accept the R-1820. It was a new build R-1820-/M-25-powered aircraft, with drawings supplied by Fokker. The Spanish Fokkers were to be built in the Hispano-Suiza factory in Guadalajara, near Madrid. However, with the Civil War breaking out, the Spanish Republic moved all of Hispano-Suiza's and AISA's work force and machinery to La Rabasa airfield near Alicante. Both companies were nationalised in June 1937, with AISA becoming SAF-1 and H-S becoming SAF-5 - SAF being the Spanish acronym for Aeronautical Maintenance and Production Facility. The two facilities were then merged into SAF-15, under commandante Andrés Pitarch. The same facility also made Polikarpov I-16s, production of which took precedence over the Fokkers. At some time in 1937, La Rabasa was bombed by the Nationalists. Damage was more psychological than physical, but it was decided anyway to move production to the surrounding villages. The D.21 found a home in the Monasterio de la Santa Faz, which had been cleared of its population by the Republic - it had a problematic relation with the Spanish Roman Catholic Church which tended to side with the Nationalists. De Jong writes the Spanish D.21s were to use Soviet equipment: four 7.62mm ShKAS machine guns and a Shvetsov M-25. De Jong writes it is unclear which engine was fitted in the D.21 when it rolled out of the monastry in August 1938: M-25 or R-1820. Test flights were conducted in October 1938, from Los Alcazáres-El Carmoli airfield. The pilot was Mariano Palacios Palomar, chief-instructor of the airfield's flying school. The aircraft carried the registration CF-001. Gerald Howson, in his Aircraft of the Spanish Civil War, Putnam 1990, writes the sole Spanish built D.21 was fitted with the M-25 from a wrecked I-16.